68. 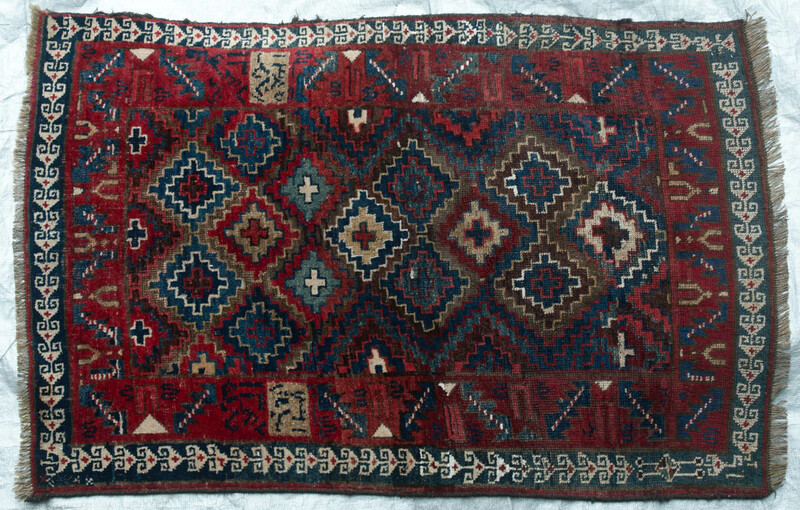 Provenance: Probably Kurdish, S. Caucasus/E Anatolia./Iraq. Stone p189 & 183. Possibly Daghestan (Caucasus). Condition: Good. Some light wear. Colour: Rich natural dyes. Materials: Hand-spun wool on wool foundation.